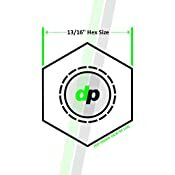 DPAccessories premium quality lug nuts are among the best in the industry. Our lengthy quality control process combined with extensive testing ensures that you will receive a durable, long lasting product. All DPAccessories lug nuts have been manufactured using the latest machining and coating technology. To ensure consistent quality and long life, every DPAccessories lug nut features the following: (1) inspection using our multi-point quality control process, (2) precision machined threads, (3) cold forged for high strength, and (4) all kits come in our signature premium packaging. 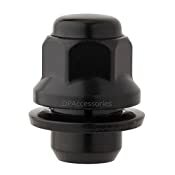 These OEM style lug nuts are intended for installation on factory aluminum wheels only. Not intended for use on steel wheels with hub caps. 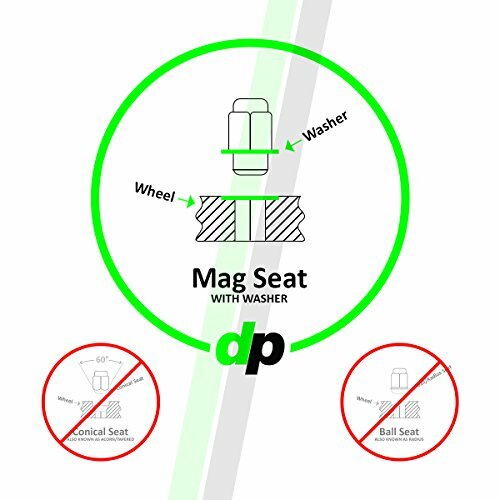 Please verify thread size, seating, and lug style prior to purchase. FITS: The factory aluminum wheels on many Toyota (2000-2015), Lexus (2004-2015), Scion (2004-2006), and Pontiac (2003-2008). REPLACES: Toyota factory part number 90084-94001 and General Motors (GM) factory part number 88972745. Also replaces Dorman part numbers 611-211, 611-211.1, and 99051.1. FEATURES: A solid one piece construction with proprietary cathodic black coating that gives the durability of chrome and the sharp look of satin black paint. Manufactured with heat treated steel for protection against rust and corrosion. INCLUDES: 100 black OEM mag style lug nuts for many Toyota, Lexus, and Scion vehicles with factory aluminum wheels.